When my friend told me she was getting married, I immediately thought of a blanket for her. Some backstory: A. and I met in seventh grade and were inseparable through middle school and high school. We survived horrible Spanish teachers together. We skipped our senior prom and went to see Shrek 2 instead. With two others, we were the best (and giggliest) group of friends a girl could ask for. I was the first of us to get married, in 2008. I made a wedding blanket for K. when she got married in 2010. This past fall I got the news from the other two: L. had (surprise!) gotten married in September, and A. had set a date for June. I knit a blanket for L. inspired by this pattern on Ravelry. I knit this blanket for L. based on a picture I saw on Ravelry. For A., I wanted to make something classy and pretty, but not too girly—like me, she’s the only girl in a house full of boys. I also wanted something that could be made in pieces and joined together. I hate joining pieces, but I learned a lesson from making L.’s blanket. If I’m knitting something small, my boys will (mostly) ignore it and let me work. If it’s a bigger project, the moment I get it out, one (or both) of them wants to climb onto my lap. Without fail. 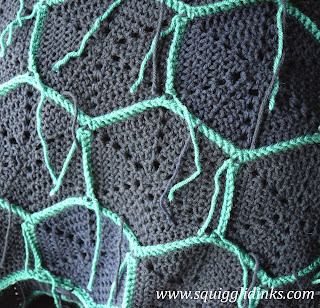 I’d never crocheted hexagons before, but I loved the look of them. I tried this pattern from Make and Do Crew, but it didn’t totally work for me. 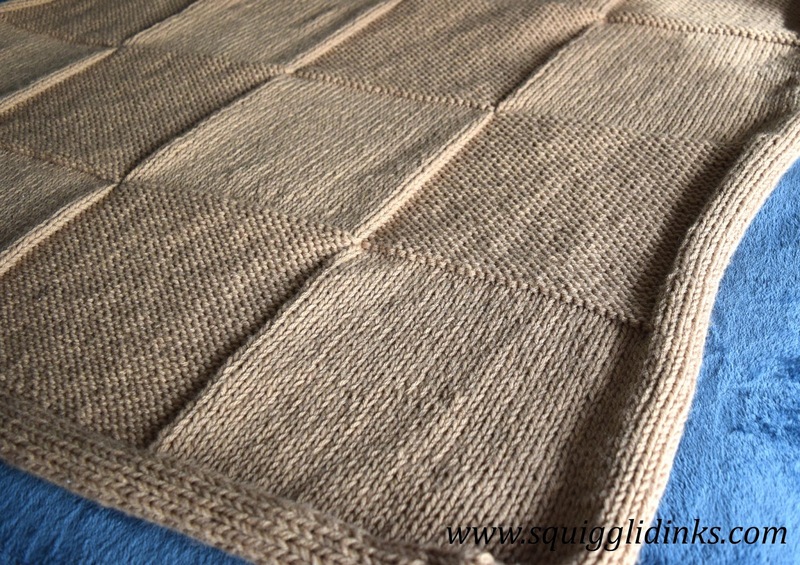 I ended up modifying it—you can read about my modifications and follow my new pattern here. The hexagons were the perfect size for working on while the boys were playing—I still got interrupted sometimes, but not nearly as much as when I’m making something bigger. Of course, once I finished all the hexagons, I had to join them. Yikes. I may never make another hexagon again, just because of that. 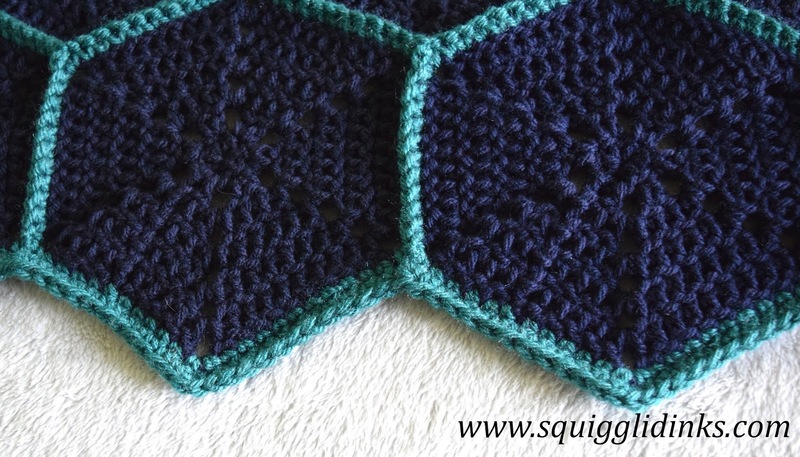 (I do like making hexagons though. 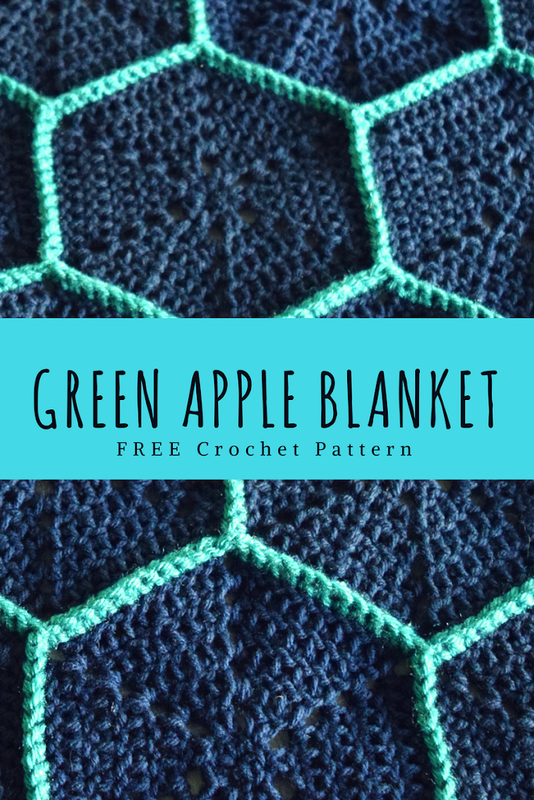 Maybe someday I’ll make a blanket that’s just one giant hexagon…) I decided to use single crochet to join them using an accent color. I love love love the way it turned out, but it was a long process that could only happen after the boys were both in bed. I’m not a fast crocheter. 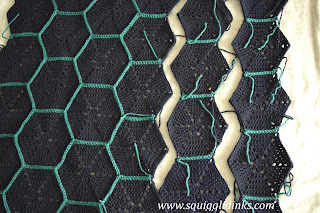 It wasn’t so bad when I was working on the hexagons because I got into a groove, but the joining went really slowly. 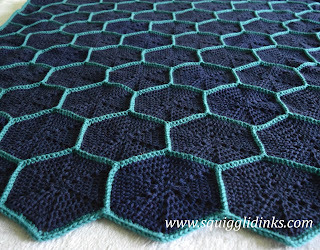 An inexpensive, ad-free, printable PDF of this pattern (including the instructions for the hexagons and half hexagons) is available on Ravelry. This makes a throw-size blanket. Crochet hook, size J—The yarn calls for a size H hook. That was too tight for me, so I used a J hook. 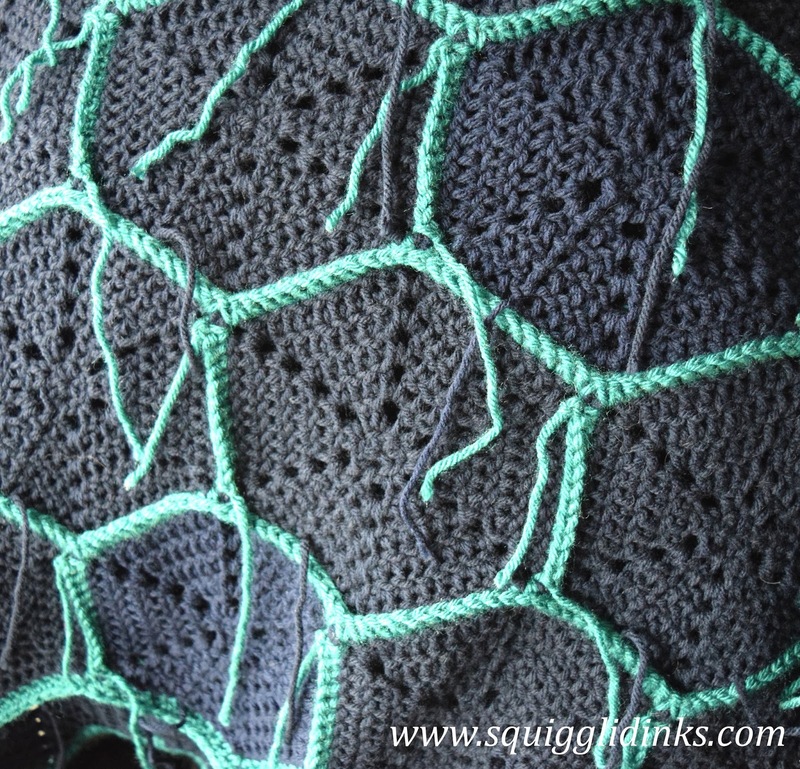 The modified hexagon pattern was done to work with the larger hook. Using peacock yarn and single crochet stitches, join the hexagons together in strips. 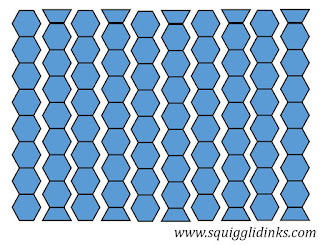 Five strips will have 8 hexagons. The other five strips will have 7 hexagons plus a half hexagon at either end. Lay them out so that the strips alternate, like in the diagram below. Single crochet the strips together. Do you prefer to create blankets all in one piece, or in smaller pieces that get joined together? Tell me in the comments! If you’d prefer an ad-free, printable PDF of this pattern (including the instructions for the hexagons and half hexagons), the inexpensive PDF can be purchased on Ravelry.